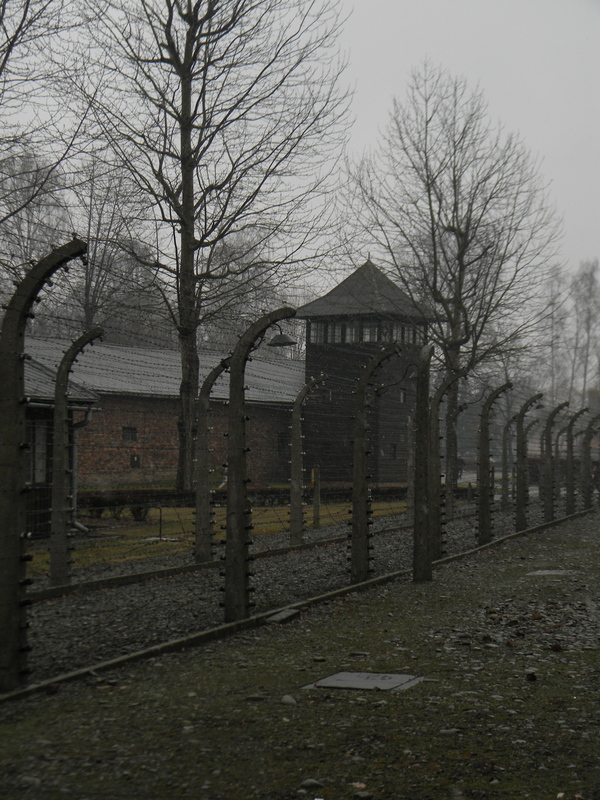 I’ve been conflicted about how to present my photos and experiences from the tour of Auschwitz. It seems inappropriate, somehow, to post my photos online. To be honest, it felt inappropriate to take the photos in the first place, even though our guide assured us that photography is allowed in most parts of the camps. I’m glad I did take the photos, because the experience would almost seem unreal if I didn’t have evidence of it on my camera. And I realize that although this tour is an experience everyone should have at some point in their lifetime, many people will never have the opportunity, so I decided to post my photos here to give people the chance to see it secondhand. Photos are unedited – it was quite a gloomy day and the natural lighting seemed appropriate. 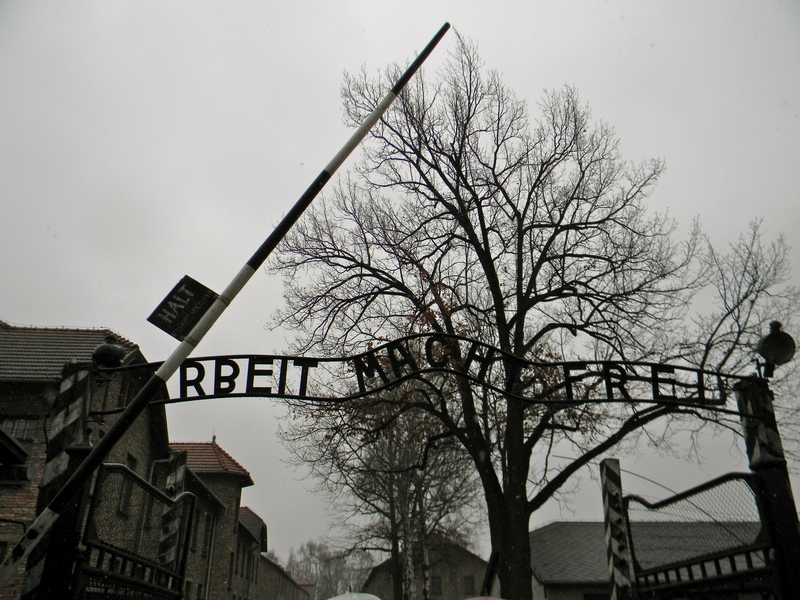 The gate to Auschwitz I, reading “Arbeit macht frei” (“work makes you free”). 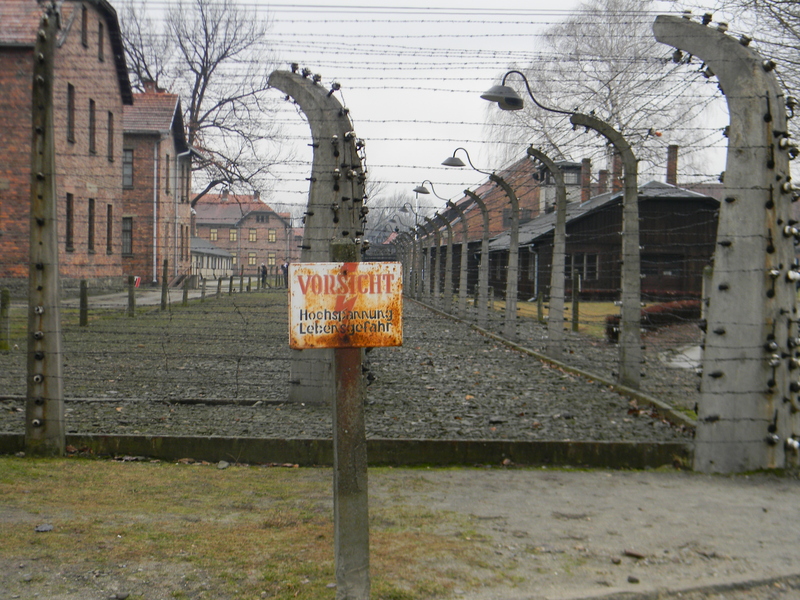 The fence near the main entrance of Auschwitz I. 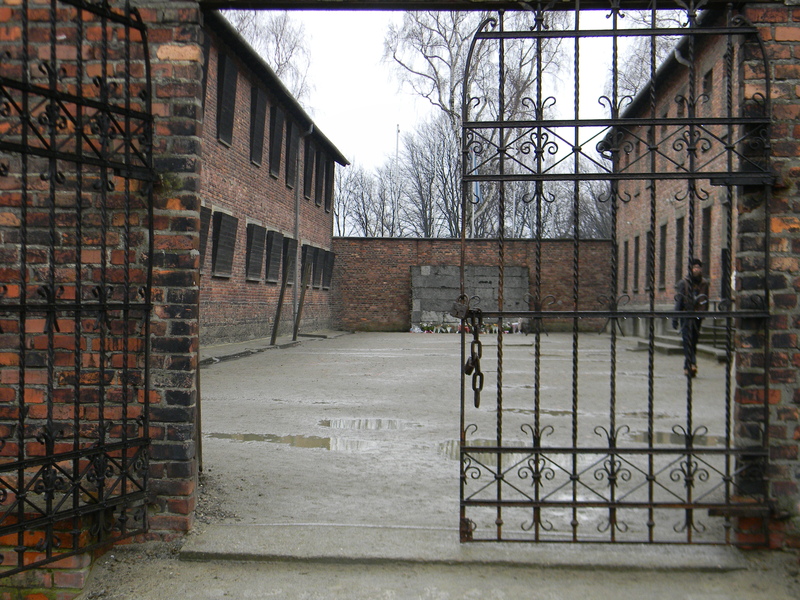 Rows of barracks in Auschwitz I. 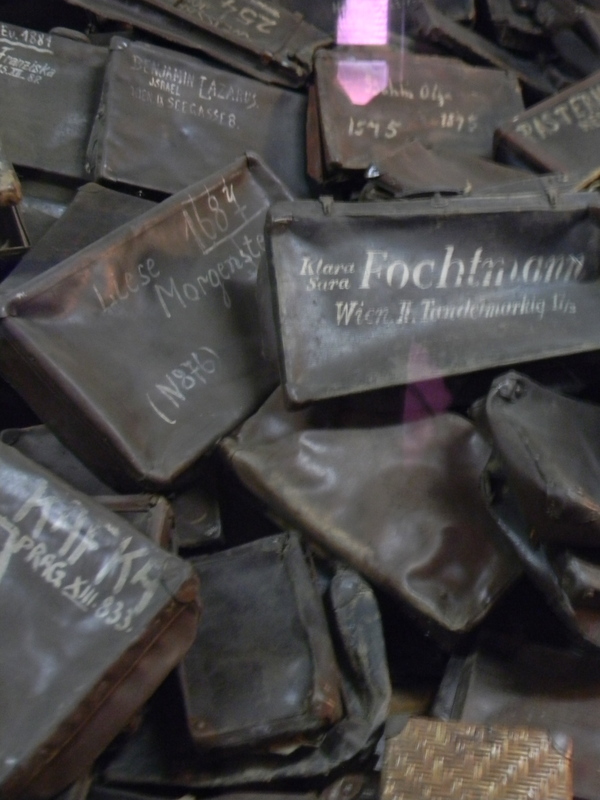 A massive pile of luggage was just one of many exhibits displaying the belongings of Auschwitz victims – others included eyeglasses, medical devices like prosthetic limbs, and tallits (Jewish prayer shawls). One display contained the hair of tens of thousands of victims, originally intended to be used for cloth and other supplies for the German military – for obvious reasons, photography was not permitted in that room. The realization that each item in these enormous piles symbolized a prisoner was striking. 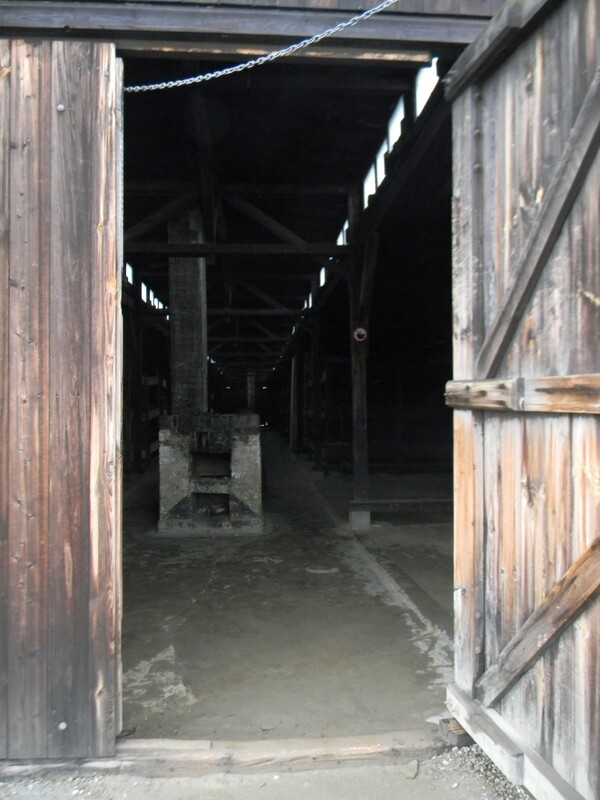 Inside the barracks of Auschwitz I. The courtyard where, at the far end, prisoners were shot at the “Wall of Death.” The wall present today is a reconstruction, but even so, it’s a powerful sight. 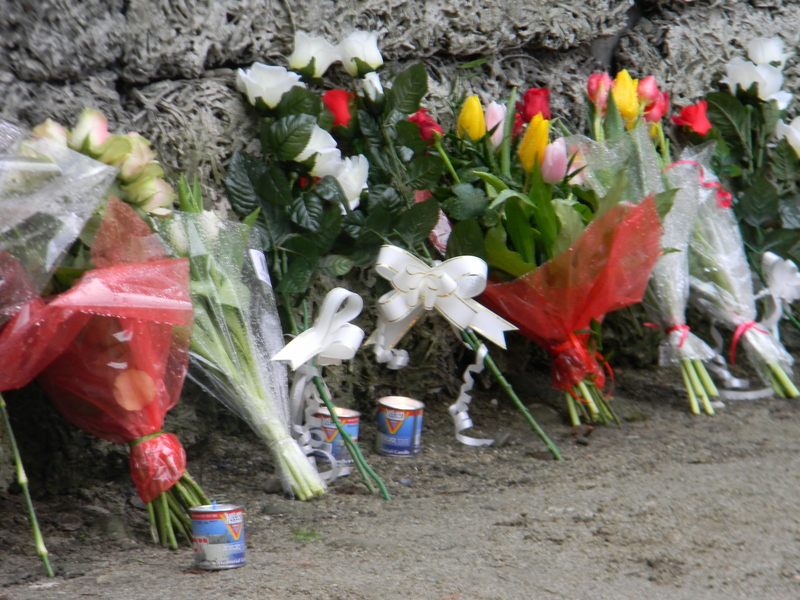 Flowers and candles left along the Wall of Death. 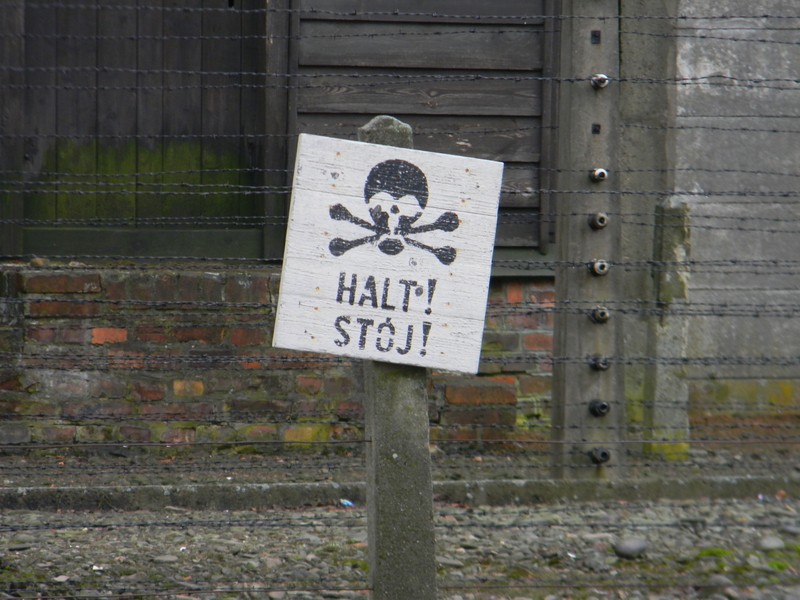 Spotted near the fence around the perimeter of Auschwitz I. The entrance to Crematorium 1. After entering, you walk through the gas chamber and a room full of ovens. That was, I think, one of the most powerful experiences of my life. Presumably a warning about the voltage of the electric fence. I can’t read German. 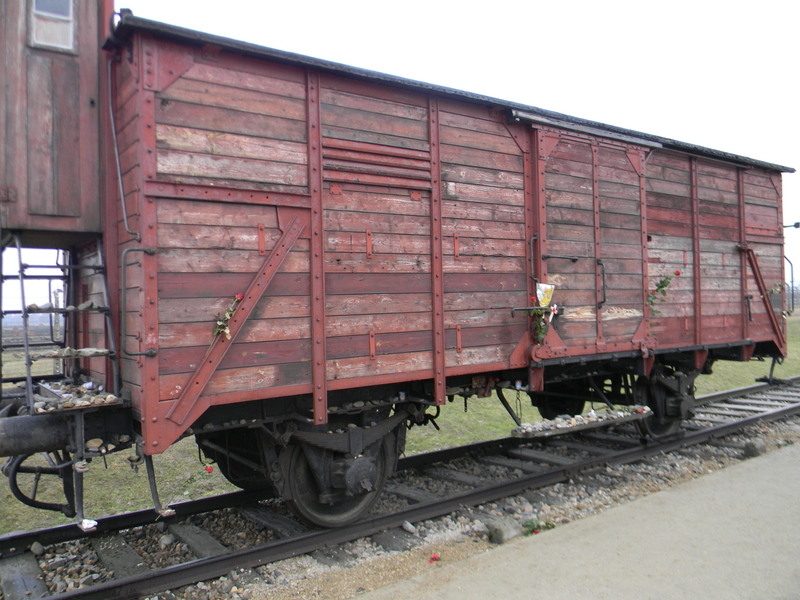 One of the cattle cars used to transport prisoners to Auschwitz-Birkenau. In the Jewish tradition, visitors have placed small stones on every surface. 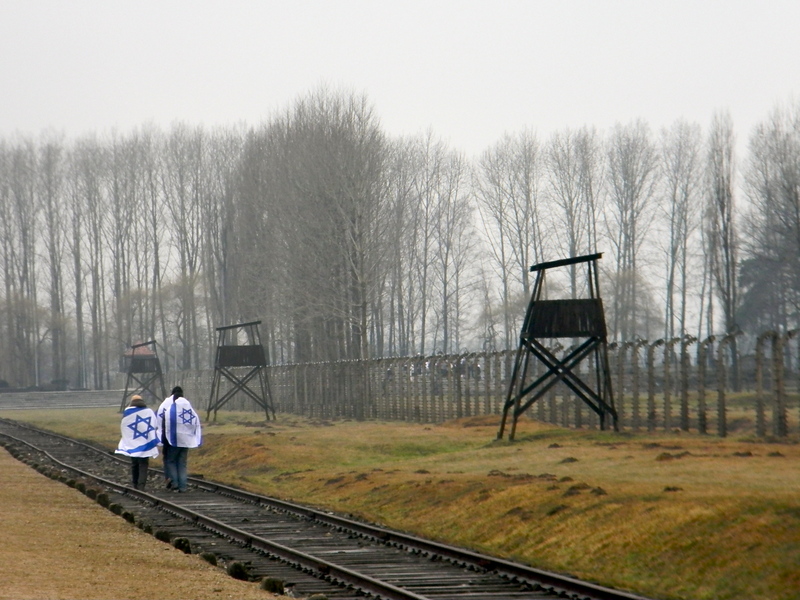 One of the most striking things about this visit was the number of Jewish groups we saw at Birkenau – in one case, leading a prayer inside the barracks. The symbolism was powerful. 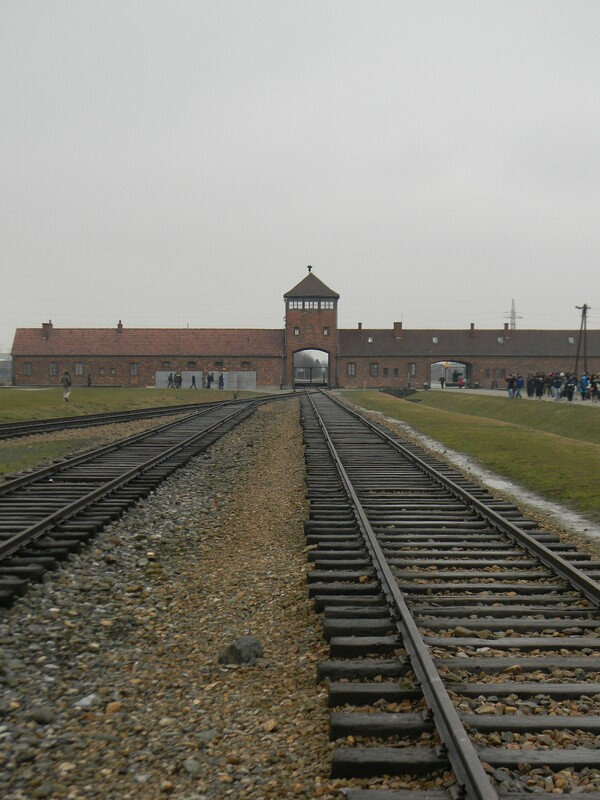 My friends and I all found the tour to be an intense experience, but I can’t begin to imagine what it must be like for the Jewish individuals who visit. 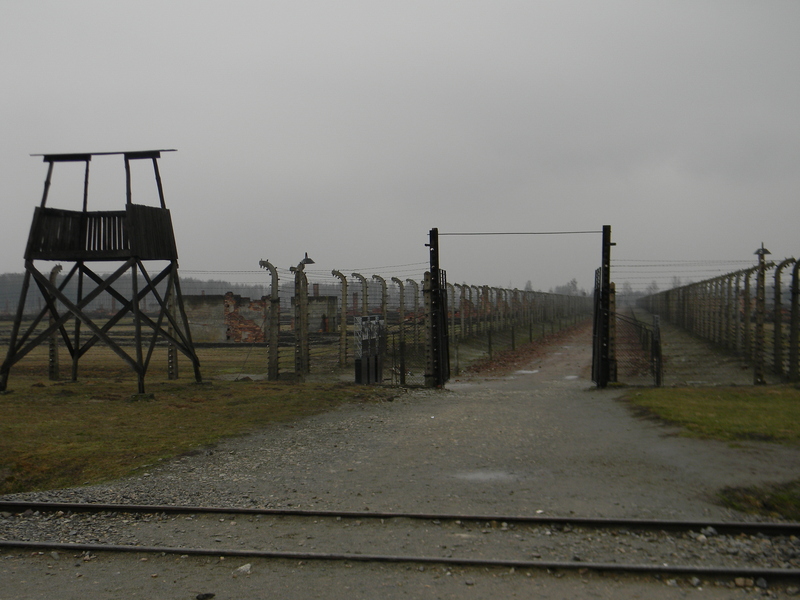 The entrance to the men’s section of Birkenau as seen from the Judenrampe, the ramp where selection of prisoners took place and prisoners were designated for a place as a laborer or for immediate death in the gas chambers. 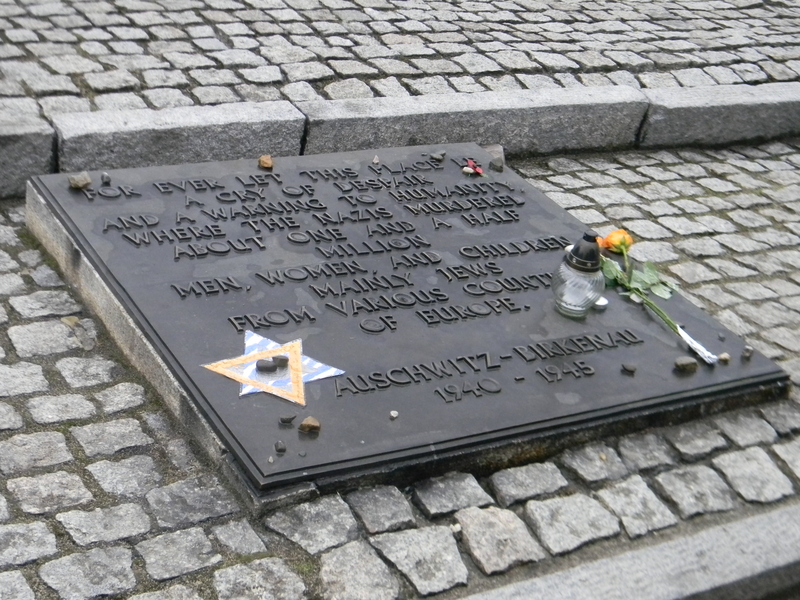 The English language version of the memorial at Birkenau. 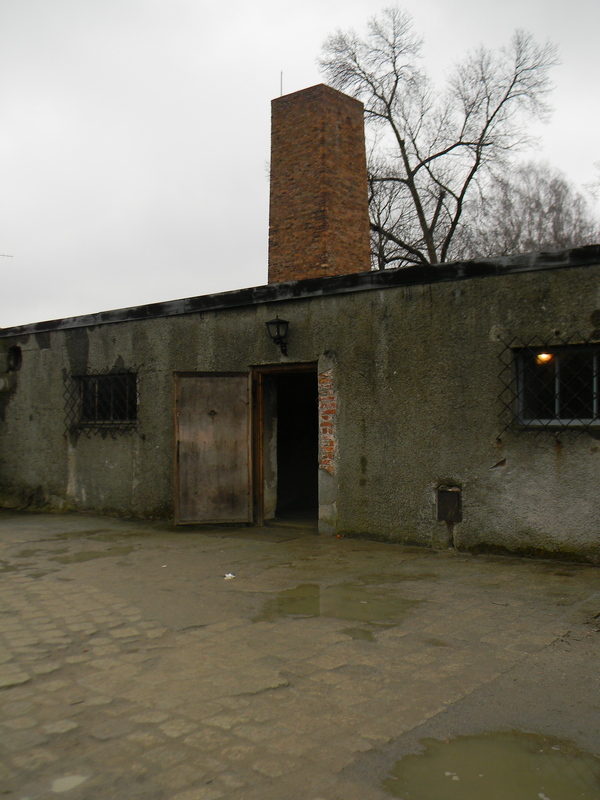 The ruins of Crematorium II at Birkenau. The Nazis blew up the gas chamber facilities in 1945 in anticipation of Soviet advancements in the area, trying to cover up the murders. Clearly that strategy didn’t pan out and the ruins have been preserved. 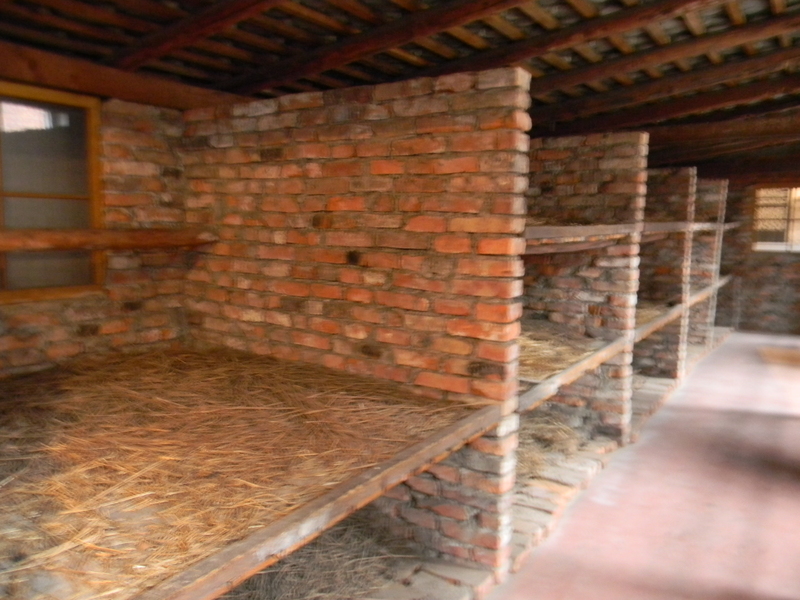 A view inside the wooden barracks at Birkenau. 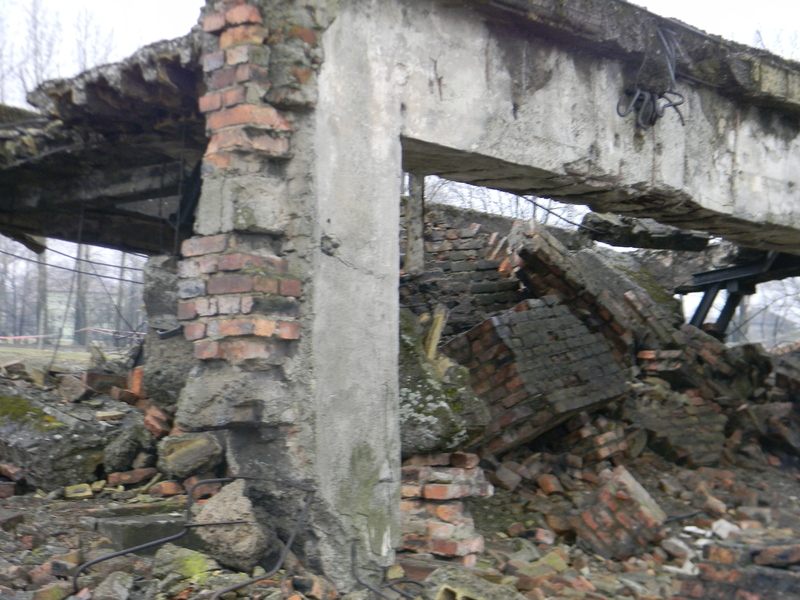 A lot of structures at the camp were destroyed by the time the war ended, but this one survived. Touring it on a cold, snowy day made it easier to try to imagine what it must have been like to live inside – even bundled up in a coat, hat, scarf, sweater, and boots, I couldn’t stop shivering. Considering prisoners had far less protection from the elements than I did – and were faced with far worse weather, and malnutrition, and hard labor – it’s incredible that some people managed to get out alive. An attempt to show how massive the camp was. I failed miserably at capturing its size – which was much larger than I’d realized. I can’t begin to put into words what it was like to experience this place. It was by far one of the most powerful, emotional experiences of my life, and it was certainly a sober end to our otherwise fun and pleasant trip. Despite the challenging nature of a tour like this, it’s something everyone should absolutely experience if given the opportunity, so I’m glad that we went. It’s something I’ll remember for the rest of my life. 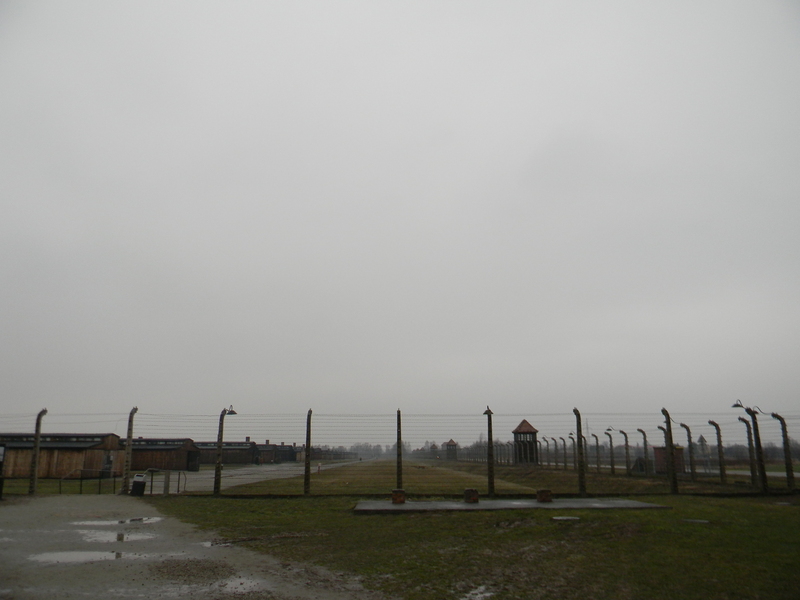 If you’re in Kraków and you’d like to visit Auschwitz, I would recommend the company we used, Gray Line Tours. 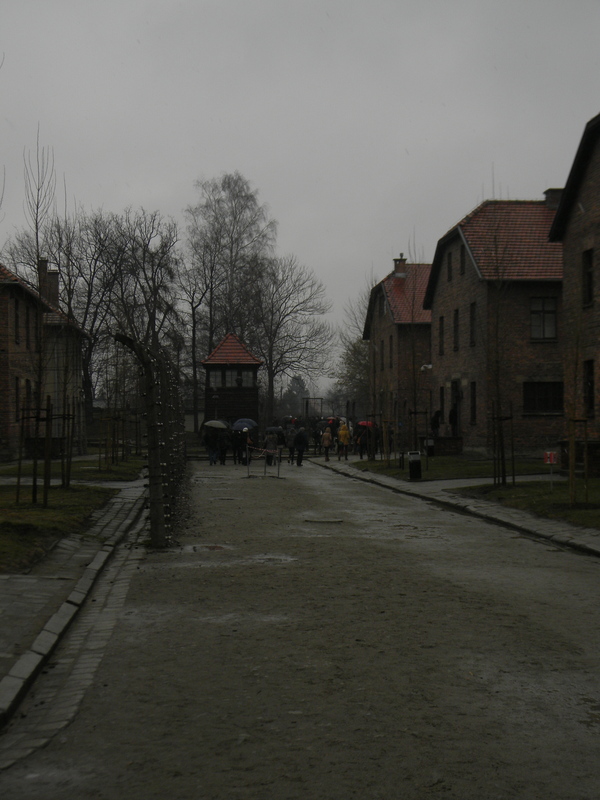 A guide picked us up at our hostel and the tour was just 105 zloty a ticket for students – a good deal for the package that included an hour-long bus ride to the camps (with a documentary shown on outbound journey) as well as guided tours of Auschwitz I and Auschwitz II-Birkenau.